Relaxation in the heart of the Appennines. Hotel/Restaurant Margherita is located in Montepiano, a small village in the province of Prato in the region of Tuscany. 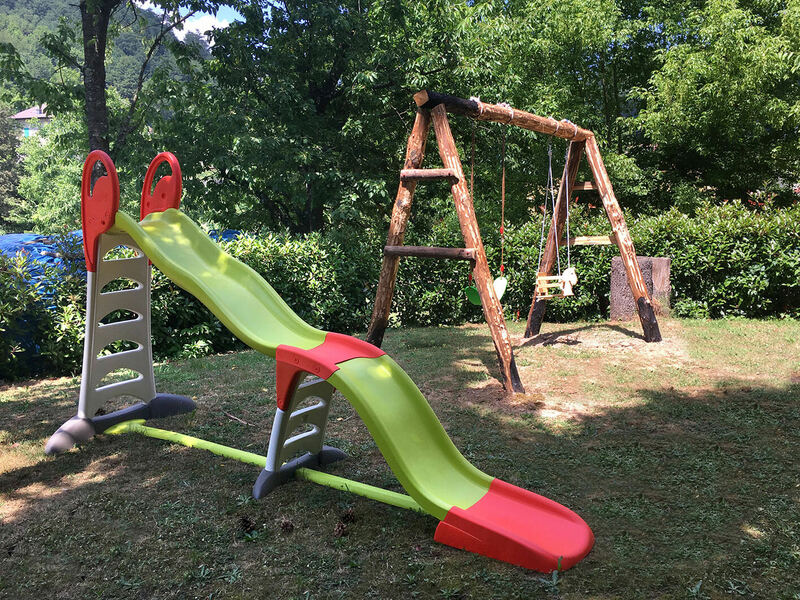 Immersed in the greenery of nature of the Apennines, it is easily accessible and is equipped with a spacious car park. 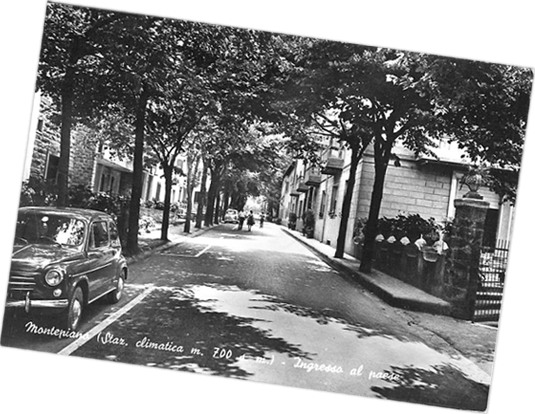 The Hotel offers twenty-eight rooms, with a total of fifty-two beds. The rooms, all recently renovated, offer all amenities such as free wifi, telephone, central heating which can be regulated by room occupants, orthopedic bed, LCD 24” tv, private bathroom, hair dryer, safe which can also accomodate PCs, electronic key card, USB power supply, an external shutter automatic system, mosquito net. The bedrooms are located on the upper floors of the hotel, from where it is possible to enjoy a marvellous view. People with mobility problems can also access these bedrooms by using the elevator and so, they can therefore also move freely around the entire hotel and park area. The park surrounding the Hotel is fully accessible at any time of the year, even though, for reasons of the weather, it is obviously more beautiful and well kept during the summertime. Inside the Hotel the restaurant has a capacity of 150 seats approximately, divided between the main room and the nearby panoramic room. . There is a third large room adjacent to the lobby, which is ideal for hosting events, receptions and meetings. The Hotel has a small area in the park for children and a secure parking space for bicycles. A bicycle repair shop will also be set up in the near future. During the “season of good weather” (spring and summer), we offer full catering services on request in the adjacent open park, ideal for whoever desires to add a “touch” of nature to their receptions and ceremonies. the hotel is equipped with a 57kwhp photovoltaic system installed on the roof, energy saving automatic faucets, lighting with low consumption or led bulbs throughout the entire hotel. Central heating/ biomass heating system for hot water powered with woodchips from the surrounding area (short supply chain). The hotel is also equipped with a rainwater recovery system for the irrigation of the park. 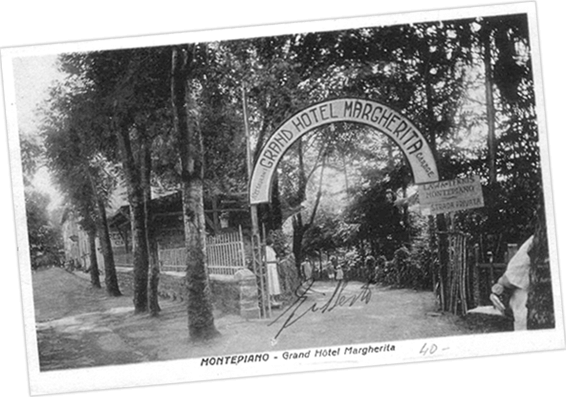 Already in use as a guest-house since the beginning of 1900, Hotel Margherita was the meeting point for all tourists who wanted to immerse themselves in nature and to take full adavantage of the beneficial effects of the cool perennial springs flowing in the area.